Spode Italian dinner plate, ca. 1976/The plate is from the wonderful dinner service my parents gave me as a wedding present in 1976. One of the most famous manufacturers of English ceramics is Spode. 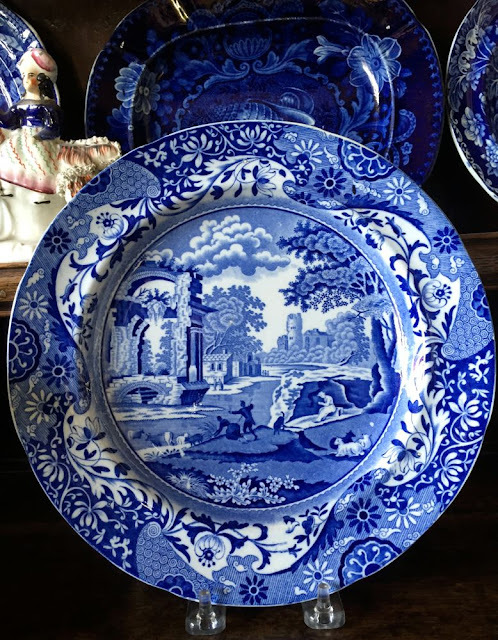 The factory was in business on the same site (see the history of the factory ownership here) for almost 250 years, and made some of the most enduring and beautiful transferware patterns; Italian, for example, was made from circa 1816 until the factory closed around 2009. I have a long history with Spode's Italian. * I was given 133 pieces (new) as a wedding gift in 1976. The dishes have appeared at all of my Thanksgiving dinners since November 1976! 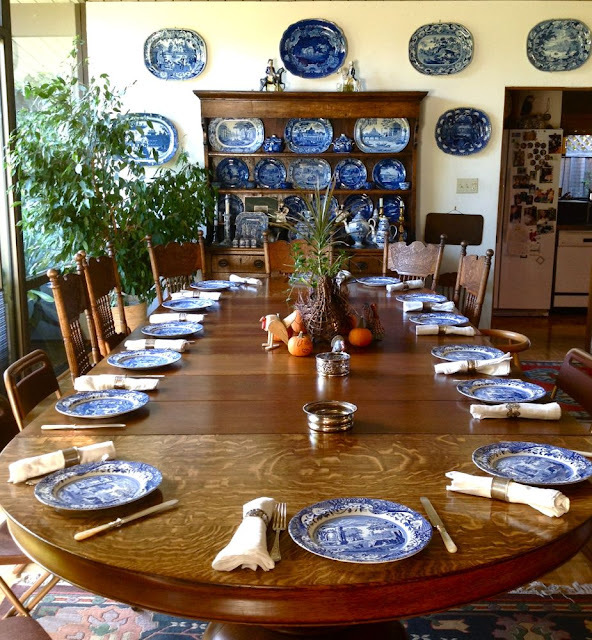 Spode Blue Italian on my Thanksgiving table. I have other Spode patterns too. 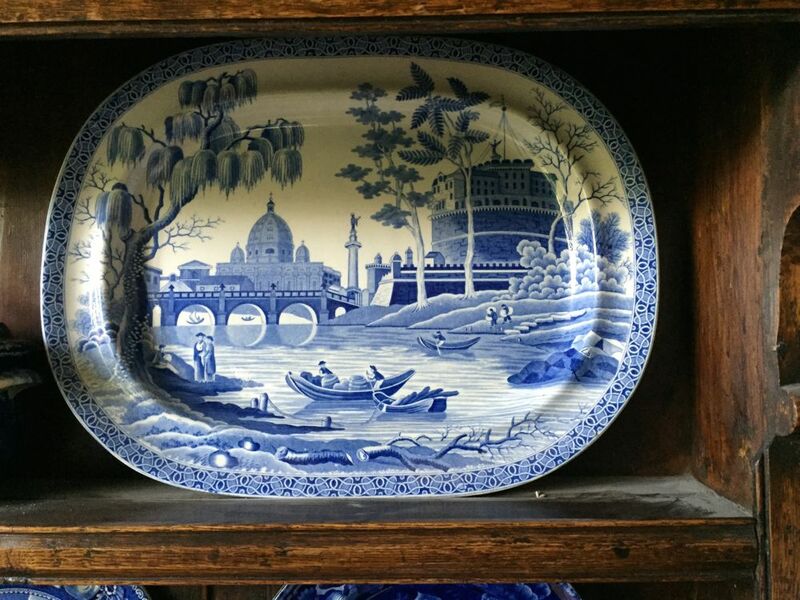 For example, I spotted a Spode platter at an antiques shop in 1977 that reminded me of my honeymoon in Rome. The pattern is actually called Rome! 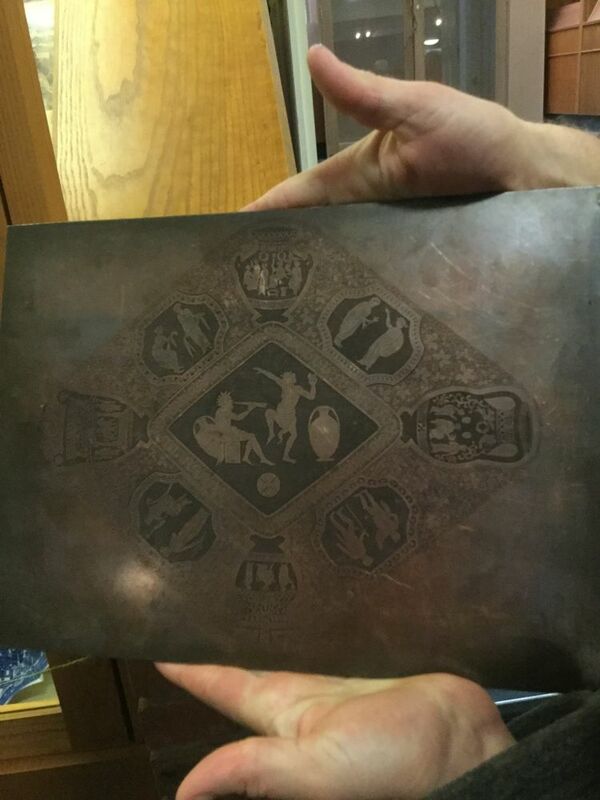 The platter has resided on my dresser for nearly 40 years. The Rome pattern Spode platter has been on my dresser since 1977. The platter dates from the early 1820s. The dust on the shelf is old too. This is a preamble to explain why I was happy the TCC 2015 tour included a visit to the old Spode factory site, which is now known as the Spode Works Visitor Center. 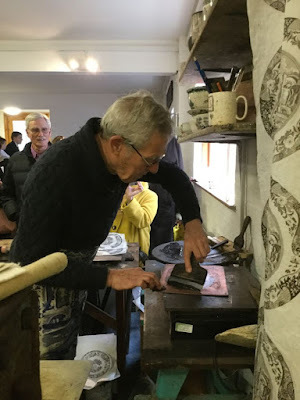 The visit included a demonstration of the transfer process by Paul Holdway,* and a look at a collection of transferware items and copper plates. 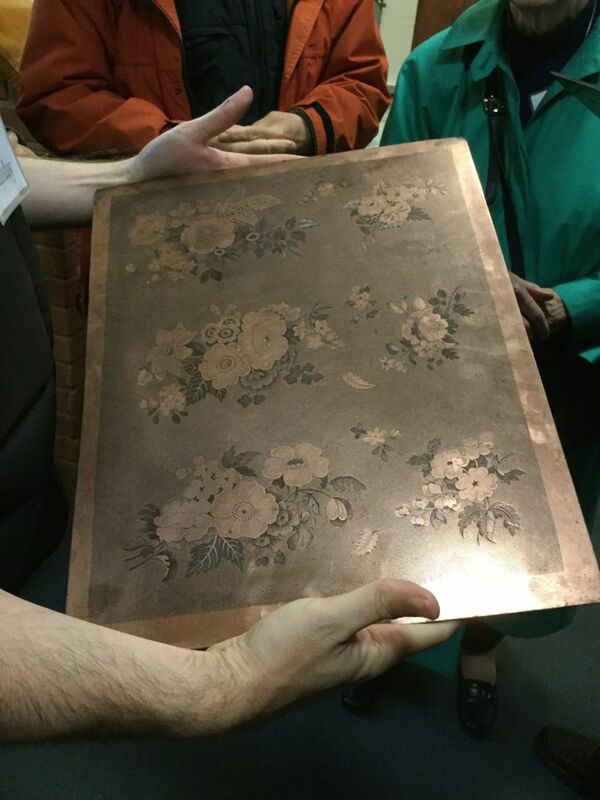 Paul Holdway inking a copper plate/Notice the Italian pattern tissue pulls on the right. Paul pulling the tissue away from the copper plate/ To see a YouTube video of the whole transfer process follow this link. 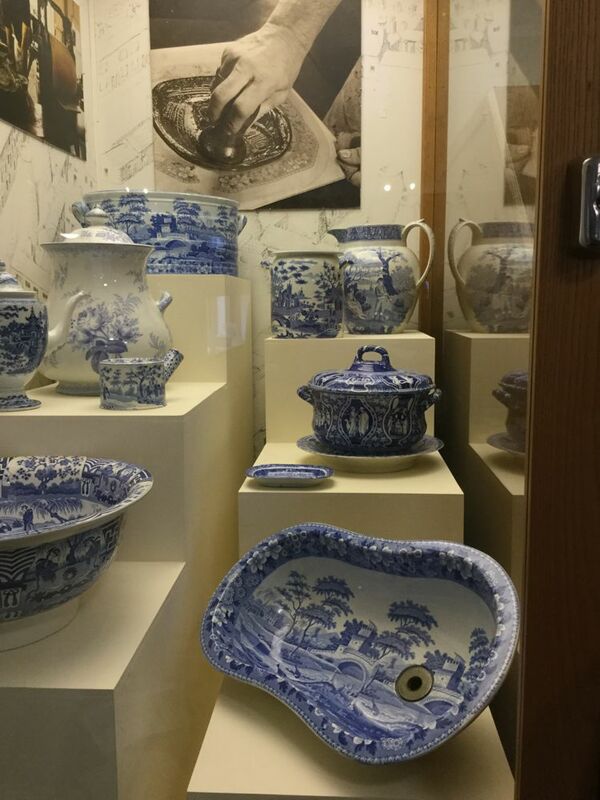 Some of the items in the transferware display. 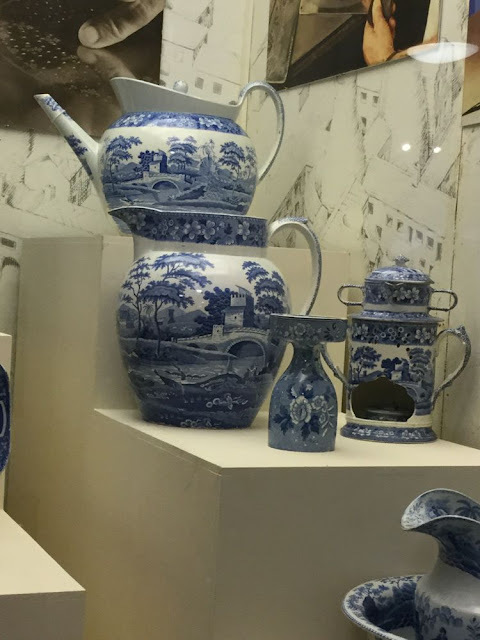 The bidet on the bottom right is printed in the Tower pattern, above is a tureen in the Greek pattern, and the jug on the top right is Woodman. 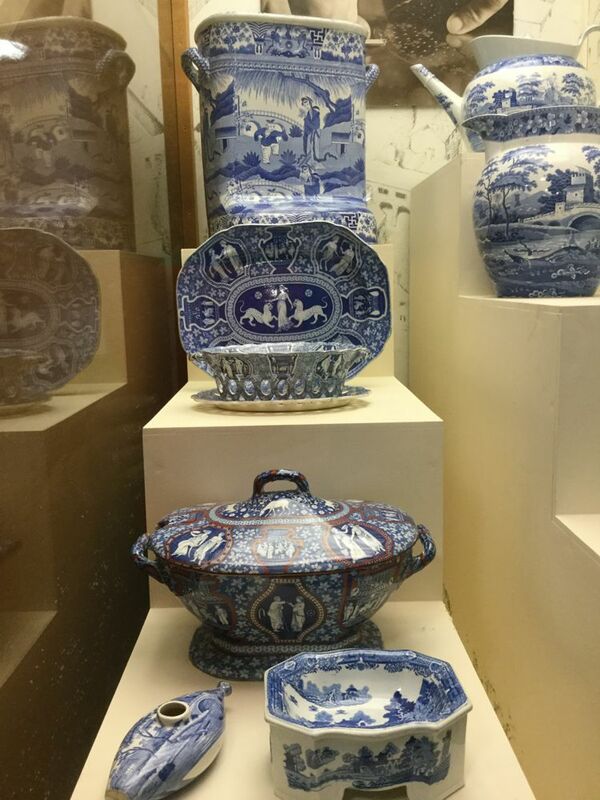 If you want to know the rest of the patterns, an excellent resource is Spode Exhibition Online. You can go right to the printed designs here. Spode display/The item on the top left is a leg bath. 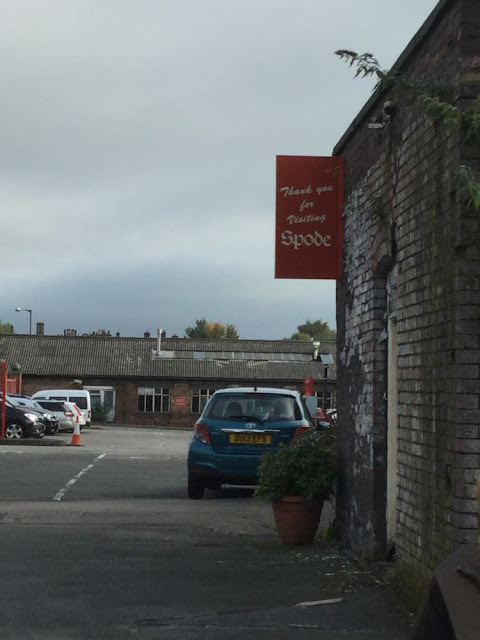 Why was Spode so important? Why should the site be preserved? The factory made useful and beautiful things for more than 200 years, but the poster below illustrates that not only beauty, but science, historical material, and community were fostered at the site. It is part of English history. 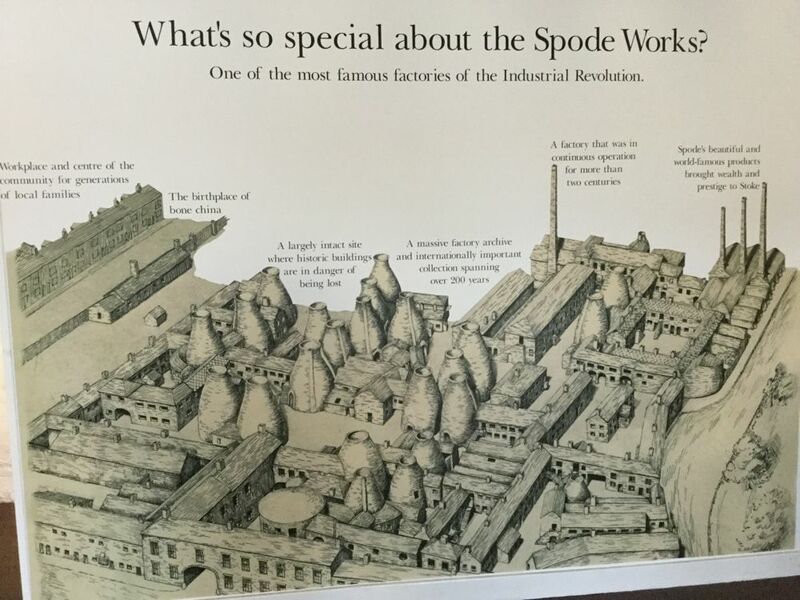 The text on this poster explains the importance of saving the Spode factory. I have been to the factory site many times, and hope I can visit again. *If you want to know more about Spode's Italian pattern, follow this link to the Pam Woolliscroft's blog posts titled Spode & Italian on her blog Spode History. You can also see a link to Richard's Halliday's 2013 book, The Italian Pattern. 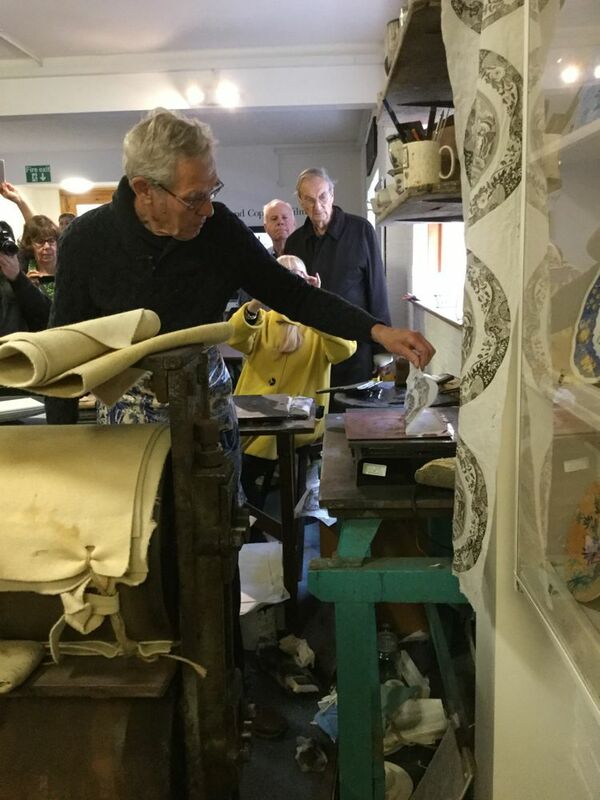 *To see a You tube video of the transfer process by Paul Holdway which was produced by Richard Halliday, click here. Take a look at the TCC England Tour 2015 Parts One, Two, and Three.